Hi… my name is Cath and I am ex-pat Aussie who is now calling Portland Oregon home. I have been quilting on and off for many years but now find myself with time to explore and challenge myself. This is my attempt to log my adventure in quilting. Please feel free to email me at wombatquilt@gmail.com. 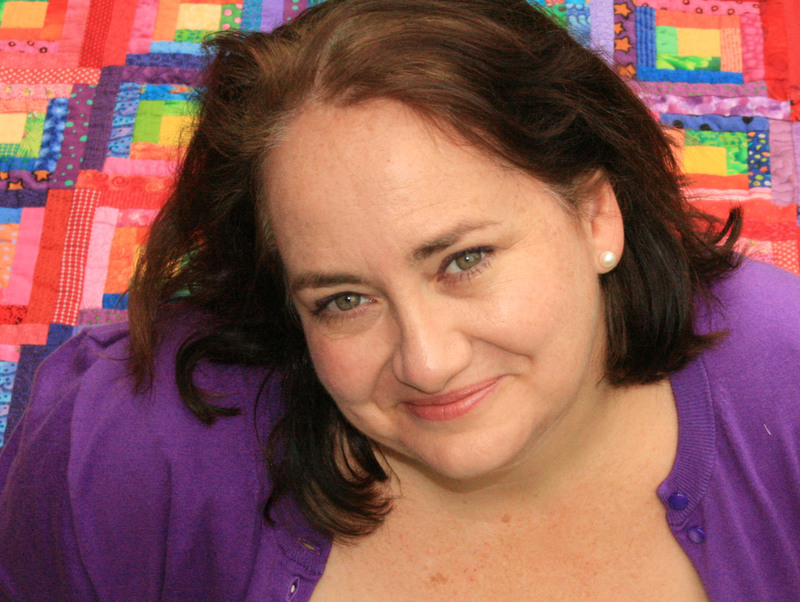 Hi, my name is Elisabeth and I am executive co-producer and host of Oregon Quilting TV series. the programs are on the web site. Information about where we tape the program is also on the web site. You would be welcome to come and join us anytime. In February, we will be working on blocks for Quilts of Valor following the taping of the TV program. I noticed you have your very own personalized quilt tags. May I ask where you got them? They are not too expensive and you can personalise them. Let me know if the link does not work. Cindy, thanks for the nomination. I love the idea of the Award and will pass on the love. Hi Cath, I appreciate your visit to Sew Fresh Quilts and for leaving a comment about my Flowers in the Sun quilt. Just wanted to let you know that you are a no-reply blogger. So, I could not send you a reply through email. I do lots of fiber arts stuff but always found quilting boring, not to mention my mom has been a quilter my whole life so I never felt the need to quilt, but you make it look so fun I may try it again! Thanks for the like and I look forward to reading your blog! I see you were at the Modern Quilt Guild in Portland. Do you visit others? Would you please send me your fee schedule? , thanks for stopping by my blog, addicted-to-fabric.blogspot.com. I love your choice of fabrics! You’re my kind of quilter! I have decided life is too short to make quilts with fabrics that don’t excite me! I absolutely agree about using fabric you love. Though I occasional enjoy the challenge of making something from fabric I would not usually use (always mixed in with my faves). Sometimes it works. Sometimes it falls a little flat. I saw your blog on the Portland Modern Quilt Guild blog roll…I absolutely love the print and color choices in your quilts. They’re all so unique! You have a great eye. Thanks Lauren. I love playing with colour. Cath – What’s your email address so I can put you in my address book. I always love your comments but I can’t email you back! Dear BB… thanks so much for the honor but I no longer meet the under 200 followers criteria. I really appreciate the vote of confidence in my blog and am flattered you thought of me. Silly me, I sent that before I learned how to even check such things! I do so enjoy your blog. Thanks for the message back. I was really chuffed to get your note. It is so nice to be recognized, I have not been doing this for to long and am still learning so much. Thanks for the vote of confidence. Love Foxey! I’m a great fan of paper piecing, so portable, so soothing, so scrap friendly. And I love your blog. Going to follow you now and steal all your ideas…. Thanks for the compliment. I really do love that I am so inspired by what I see online and that others are inspired by what I make. It is one of the fabulous things about quilting. It is truly a creative dialogue. Your site is great and tho this is my first visit , I don’t want it to be my last ! Hi Leslie. On the right side my site there are a number of ways to follow…you can press the Follow this Blog button which will send you an email, or press the Bloglovin or Feedly buttons which will allow you to follow me using those specific sites. You can also follow or friend me on Facebook where a link to my site is posted ever time I post new content. Let me know if you have an problems…and thanks for stopping by. Hi, Cath: Just wanted to let you know that I’ve nominated you for the Very Inspiring Blogger Award! If you choose to participate, there are some requirements that you can see on my latest post at onemillionstitches.wordpress.com. Your blog has definitely been an inspiration and I love your star addiction. Definitely makes me want to try paper piecing again. Love the name of your blog! Great quilts. Have just been told about “wombat”. Love your quilts. Adore your fabric choice and colors. Please keep giving us “quilters” your wonderful creative works of art. Hi Cath My Name is Lisa and would love to use your paper pattern starry night for the fatquarterly magazine? Just wondering if that is ok with you giving that I will put all your details in to get to your patterns and blog? I love them all so much. I want to make a whole quilt! Lisa that makes much more senses. I can not wait to see what you do with the patterns. I am happy for you to use the patterns. Thanks so much Cath. I can’t wait to show you! I absolutely love your quilt blocks! I’m trying to obsess about color and just let it happen! Nice. 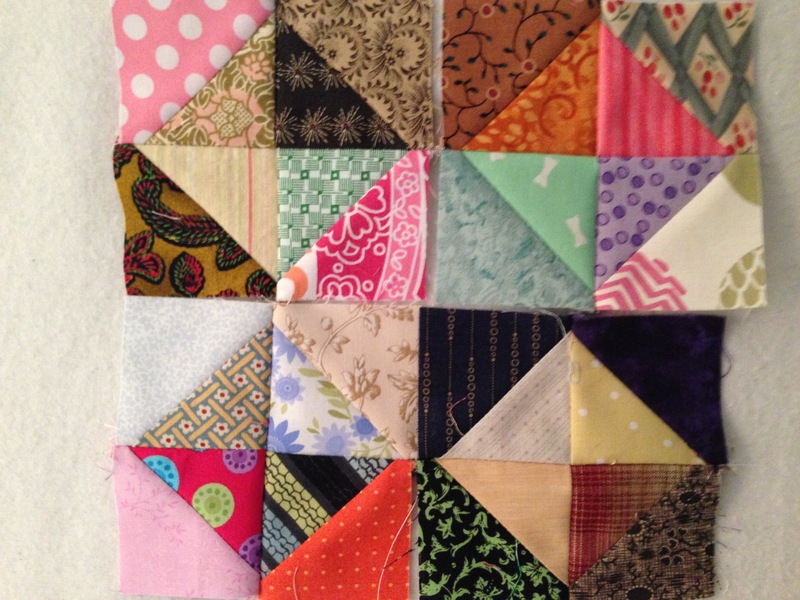 I like the square in square block with all the scraps.